DETAILS FOR SPA Announces Timeflies to Perform This Friday! SPA Announces Timeflies to Perform This Friday! Comments Off on SPA Announces Timeflies to Perform This Friday! SPA announced another great concert for Penn State students this morning. 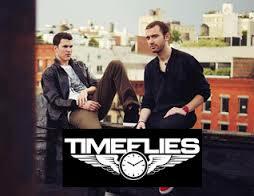 Timeflies will be performing in Alumni Hall this Friday night! This show, just like A Great Big World and Delta Rae performing here a few weeks ago, is free with a valid Penn State id. Timeflies started in October of 2010, and are known for their weekly video posts to their Youtube channel known as “Timeflies Tuesday”, where the duo, Cal and Rez, perform unique covers and, of course, their party anthem originals. SPA is killing it this year with their concert series so far, so make sure you come out to Alumni Hall Friday night, get there early, and don’t forget your Penn State id!